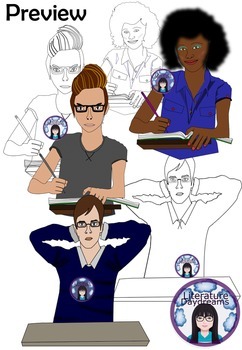 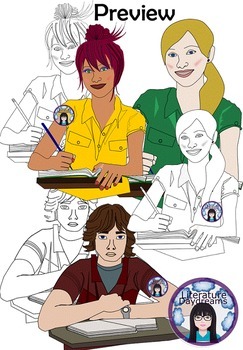 This clipart bundle contains 6 images of students sitting at classroom desks. 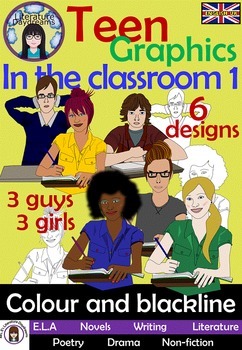 The designs are realistic, modern, classy and fun. 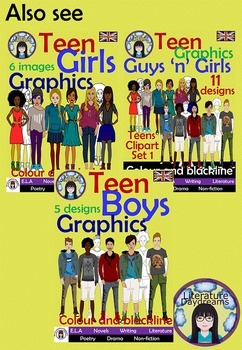 # 3 individual teen boys - each sitting at a desk, both colour and blackline included .